Company executives could face up to seven years in prison if they mismanage employee pension schemes. 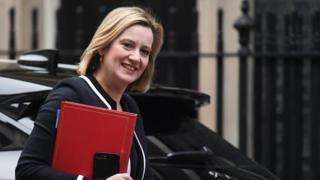 Work and Pensions Secretary Amber Rudd has proposed a new criminal offence for “wilfully or recklessly” mismanaging funds. Plans outlined last year for a maximum sentence of two years in prison were toughened up after public consultation. Writing in the Sunday Telegraph, Ms Rudd said the law will target “the reckless few playing fast and loose”. “If you run your company pension into the ground, saddling it with massive, unsustainable debts, we’re coming for you,” she said. She said current rules mean that “acts of astonishing arrogance” by a few company directors are punished with fines “that barely dent bosses’ bank balances”. Under the new law, courts would also be given the power to levy unlimited fines for mismanagement of pensions. The proposal follows calls for reform after one of the biggest pension scandals of the past decade, involving the retailer BHS. That meant the loss of 11,000 jobs and put the pensions of 19,000 current and past employees under threat. The Pensions Regulator concluded that Sir Philip Green sold the business to dodge responsibility for the company’s pension scheme. MPs called for Sir Philip to be stripped of his knighthood and a Parliamentary report called him the unacceptable face of British capitalism. Sir Philip later agreed to pay £363m into the pension schemes.